The world of chocolate just got a bit more colorful and chocolaty. Barry Callebaut, a global supplier of cocoa products, has recently invented a whole new category of chocolates adding the fourth choice to the current ones of dark, milk and white chocolates. And that’s not all, they are saying that the chocolate is naturally pink. 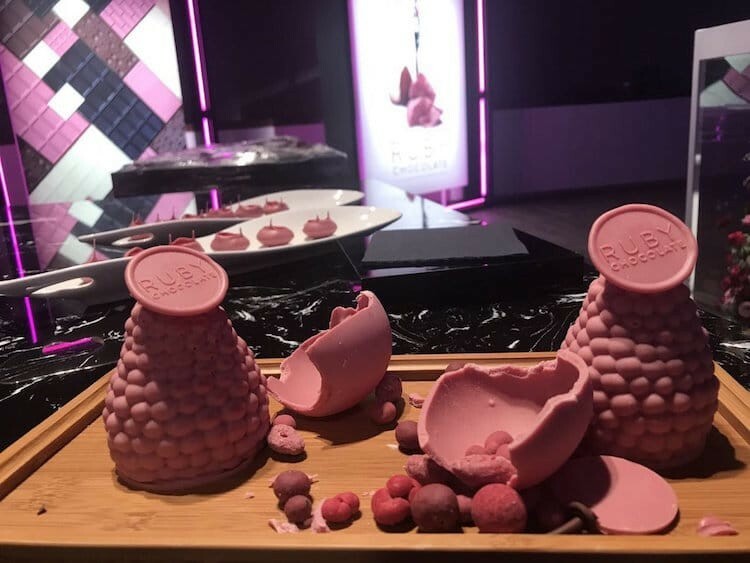 This new pink chocolate or Ruby chocolate is going to be the first chocolate being introduced to the public after the white chocolate was introduced 80 years ago. The chocolate is made from the Ruby cocoa bean; through a unique processing, Barry Callebaut unlocks the flavor and color tone naturally present in the Ruby bean. No berries or berry flavor is added. 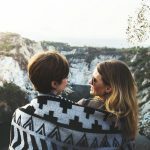 The chocolate is unique because its beans naturally have fresh berry-fruitiness and color precursors. 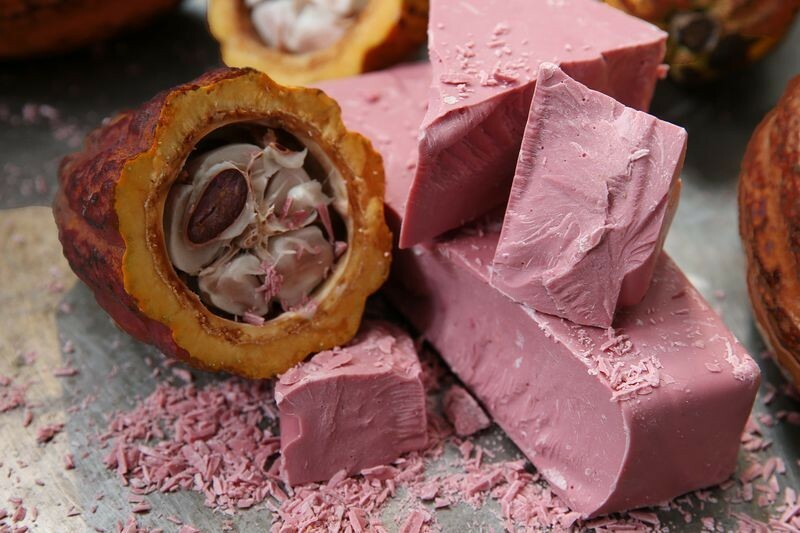 The Ruby chocolate is made from ruby cocoa beans, which are grown in the Ivory Coast, Ecuador and Brazil. The unusual color comes from a powder achieved through processing. There is no surety that this chocolate would be in the market for the Valentine’s Day, but if it is, it is going to be in huge demand!